The Doctor regenerates into her most thrilling incarnation yet - played by Jodie Whittaker, and traveling alongside three brand new companions: Graham (Bradley Walsh), Yasmin (Mandip Gill), and Ryan (Tosin Cole)! Experience mind-blowing challenges and dynamic adventures through time and space - right alongside the Doctor and her friends! 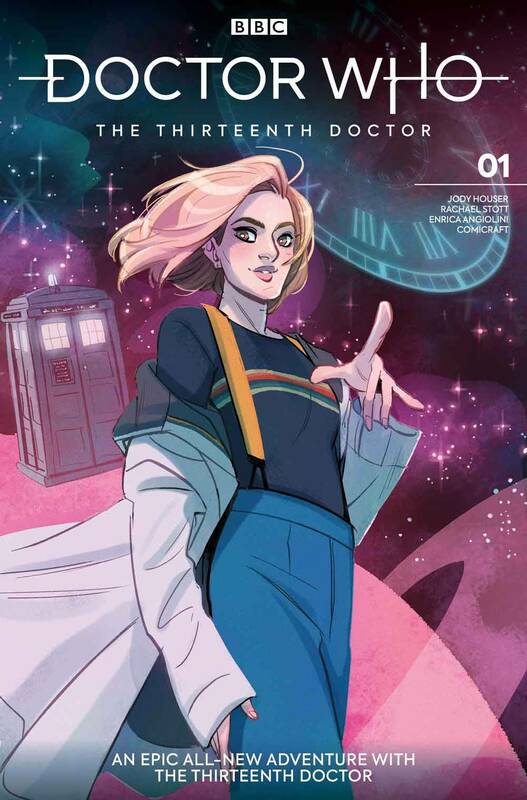 A new series for a new era on the TARDIS, from a creative team of astounding women - Eisner-nominated writer Jody Houser (Faith, Mother Panic, Star Wars: Rogue One, Spider-Man: Renew Your Vows, Orphan Black, The X-Files: Origins), art by Rachael Stott (Doctor Who, Motherlands, Star Trek/Planet of the Apes) and colors from Enrica Angiolini (Shades of Magic: The Steel Prince, Warhammer 40,000)! Commemorate this once-in-a-lifetime regeneration with thirteen variant covers, from a variety of astounding women comics artists!.